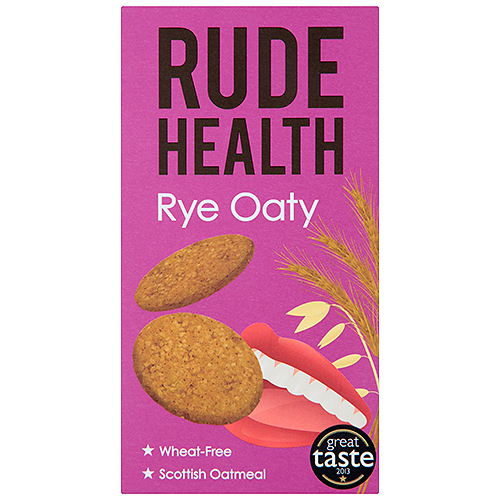 Rye has a lovely dense nutty flavour that`s great with Scandi favourites like gravlax or fish. However you want to use them, these biscuits are up to the challenge: perfect for raiding parties, school trips and having a few friends around. Scottish Oatmeal, Rye Flour, Extra Virgin Olive OIl, Unrefined Cane Juice Sugar, Sea Salt, Bicarbonate of Soda. 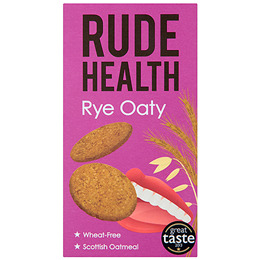 Below are reviews of Rude Health Rye Oaty Biscuits - 200g by bodykind customers. If you have tried this product we'd love to hear what you think so please leave a review.